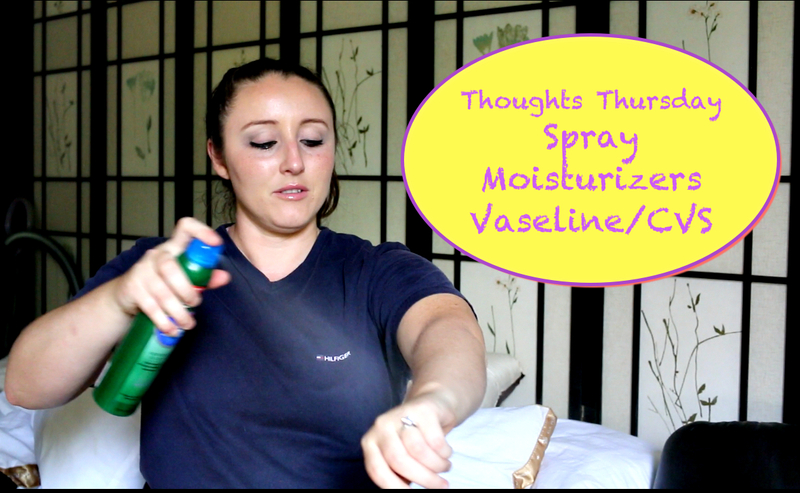 Todays Thoughts Thursday post is on the many spray moisturizers coming out in recent months. I have purchased 2 sets of Vaseline, (Aloe & Oat) and 2 sets of CVS brand, (Aloe & Oat), and have come to the conclusion that the CVS brand is actually better. The Vaseline has 6.8 fl oz and the CVS has 8.9 floz. The Vaseline feels almost like a spray sunscreen, that kind of sticky/greasy feel, where as the CVS brand feels really soft, smooth, and moisturizing. The Vaseline brand sprays in a very concentrated pray so you will have to rub it in, as well as makes an annoying noise. The CVS brand has a nice wide spray so it mists lightly over your body as well as has the traditional aerosol noise. In the end the CVS is better in all things and they have actually matched each kind Vaseline made, Oat, Cocoa, Shea, and Aloe so you are able to pick and choose your favorites. You can watch my full review video below, as well as hear the annoying noise lol….